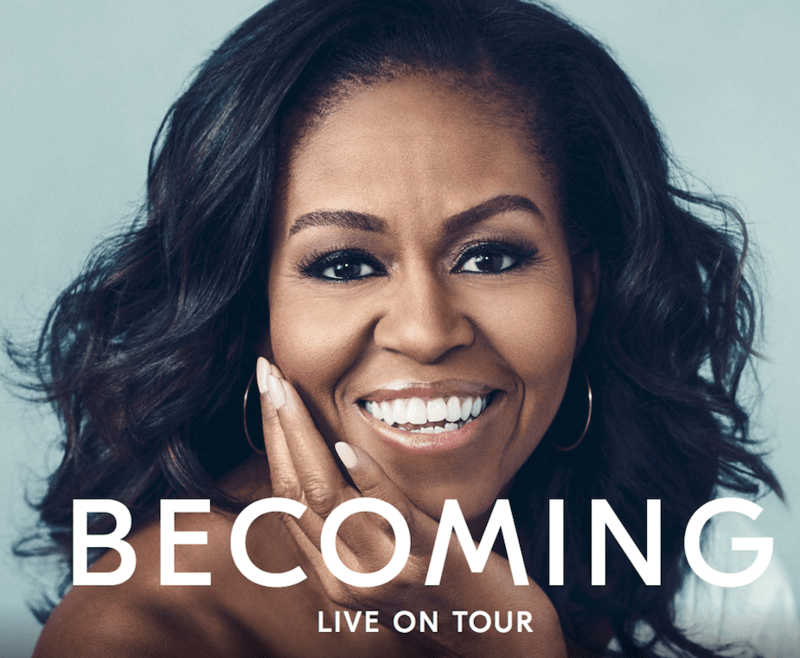 Former First Lady Michelle Obama begins a 10-city book tour to promote her new memoir Becoming. The book comes out on Nov. 13 and the tour begins that day in Chicago. The tour wraps up in Dallas on Dec. 17 when the former first lady will speak at the American Airlines Center. Live Nation is producing the tour. Tickets go on sale at 10 a.m. on Sept. 21 through Ticketmaster at BecomingMichelleObama.com. Obama will also speak at arenas in L.A., D.C., Boston, Philadelphia, Brooklyn, Detroit, Denver and San Jose. The book can be pre-ordered at the same website.